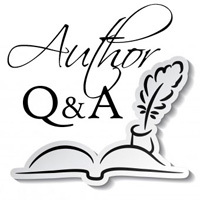 We are delighted to welcome author Maggie Toussaint to Omnimystery News today. Maggie is a contributor to the Killer Nashville noir anthology Cold-Blooded (Diversion Publishing; October 2015 trade paperback and ebook formats) with her short story "High Noon at the Dollar Central". We recently had the chance to catch up with her to talk more about her work. Omnimystery News: Introduce us to your Dreamwalker mystery series characters, who are also featured in your short story. What is it about them that appeals to you as an author? Maggie Toussaint: Pet-sitter and landscaper Baxley Powell gets involved in a serial burglary investigation with her best friend, reporter Charlotte Ambrose, to help Charlotte get a story. I love how these two BFFs play off each other. Their bonds of friendship and loyalty are forged in steel. OMN: To date, you've written two full-length novels in the Dreamwalker mysteries. How have your characters developed over the course of the series. MT: My series protagonists change in some way in each book. Their character arcs are designed to put them in uncomfortable positions. In my Dreamwalker mysteries, my amateur sleuth Baxley Powell has been living in denial about her paranormal abilities. Each story moves her out of her comfort zone until she has to rely on her "other" abilities to solve the cases and win the day. OMN: Into which genre would you place your books? MT: I write in these crime fiction genres: cozy, suspense, and paranormal. All of my books contain amateur sleuths. OMN: Give us a summary of your short story in a tweet. OMN: Are any of your characters based on real people? MT: I blend character traits from people I know into characters I've created. This brings them to life on the page for me, and that makes the story all the more interesting to write. MT: I use a hybrid method of writing. Strict outlining takes the joy out of it for me, so I write to a handful of story events. This gives me flexibility but also a general direction. MT: I prefer to solicit first person accounts for facts, but I also use internet research. The trouble with research is that you can get so involved in the topic you forget you don't need hours upon hours of information. MT: For the most part, my books are set in coastal Georgia. I fictionalized the town and county to allow myself more latitude in my story world. OMN: If you could travel anywhere in the world, all expenses paid, to research the setting for a book, where would it be. MT: New Orleans would be a great location for the next Baxley Powell Dreamwalker mystery series book. I love the coastal vibe and the secretive undertones that seem to be linked to the paranormal. I choose New Orleans. OMN: What are some of your outside interests? Have any of these played a role in your books? MT: I enjoy reading, crafting, boating, singing, and playing guitar. I've used my boating knowledge in my books, and I indulged my arts and crafts interest in a former stand-alone mystery, Death, Island Style. MT: "Write for yourself" is the best advice I received. The harshest criticism, and the most befuddling, comes from reviewers who buy a book clearly labelled "mystery" and they give you a one-star review because they don't like mysteries. For aspiring authors, I'd recommend making sure you have a good understanding of the basic requirements for your genre. That'll save you a lot of rewriting and heartbreak. OMN: Complete this sentence for us: "I am a mystery author and therefore I am …". MT: I am a mystery author and therefore I am focused on fictional minutiae and oblivious of the big picture in the real world. OMN: You also write under a pen name. What prompted you to use one? MT: I publish in mystery and romance under my name, Maggie Toussaint, but when I took a turn through science fiction, I wrote under the pen name of Rigel Carson. Rigel's books are mysteries at heart, but they are cloaked in the sci-fi realm. The disadvantage of a pen name is having to rebuild name recognition. OMN: Was "High Noon at Dollar Central" your working title for the short story as you wrote it? MT: My working title was "Whodunnit," but Clay Stafford, the anthology editor, suggested I use a line from the story instead. Thus, the title became "High Noon at Dollar Central." MT: I love hearing from readers! Most of my feedback is about the things they love in the story, and they often urge me to write more books in each series. OMN: Suppose your books were to be adapted for television or film. Who do you see in the key roles? MT: I'd choose Kate Hudson to play my sleuth, Baxley Powell, and Melissa McCarthy to play her BFF, Charlotte Ambrose. MT: I have always been a voracious reader. My favorites have always revolved around mystery and suspense, and that's what I like writing the most. OMN: When selecting a book to read for pleasure today, what do you look for? MT: Some authors I auto-buy because I can't wait for their next books. I pick up other stories based on word of mouth, friend recommendations, conference goody bags, and book advertising sites. MT: Top 5 Favorite Films: Men in Black, Ghostbusters, The Wizard of Oz, Raiders of the Lost Ark, and Galaxy Quest. A scientist by training, a romanticist at heart, Maggie Toussaint loves to solve puzzles. Whether it's the puzzle of a relationship or a who-dun-it, she tackles them all with equal aplomb and wonder. Maggie writes cozy mystery and romantic suspense under her own name, and science fiction under the pen name of Rigel Carson. For more information about the author, please visit her website at MaggieToussaint.com and her author page on Goodreads, or find her on Facebook and Twitter. This anthology of new stories features some of the biggest names in suspense, from bestsellers to ferociously talented newcomers. Grouped around the classic theme of murder, this is a first-class collection and a must-have for fans of the genre. Thank you for the feature. I'm delighted to be part of this stunning anthology Clay Stafford put together and edited. They say you're known by the company you keep, and the all-star lineup in this anthology is dynamite. I hope you will give it a try. Proceeds benefit the writing community at large. Congrats, Maggie, on your continued publication success! I look forward to reading your latest novel and short story. Thanks, Jacquie. I'm delighted to bring my books and stories to market, and it's nice to have the encouragement of my peers. Very nice interview. We like all the same movies! I knew there was a reason we were friends, Nancy! Seriously, I'm flattered by your friendship and mentoring. Good luck and God's blessings! Thanks, Pamela. Blessings back atcha! Terrific interview, Maggie. I'm looking forward to the next Dreamwalker mystery. Baxley is a great character. Thanks for stopping by, Polly. I like to think Baxley gets some of her moxie from strong women like you!